Confused.com, the price comparison site, is ditching Brian the Robot for James Corden as it tries to keep up with the competition. 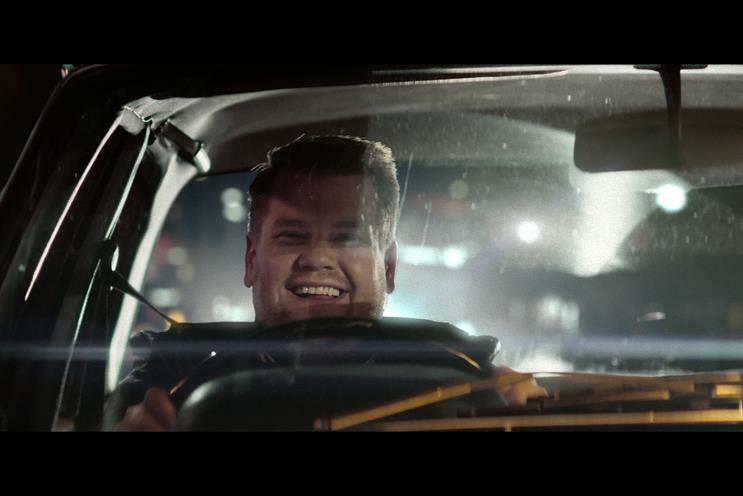 In a new campaign launching tomorrow, Corden features in an ad focusing on the automotive sector. It is the first ad from Karmarama since it won the account in March. The brand is moving its strategy in focusing on comparing all types of products to car insurance because there is a lot of noise in the price comparison market from GoCompare, MoneySupermarket and Comparethemarket. The new campaign launches tomorrow and shows Corden in a car on a drive where everything goes right such as green traffic lights and perfect parking. Corden featured in Cadbury's 2014 ad as part of the chocolate brand's "Free the joy" campaign. Since then the actor, best known in the UK for appearing in Gavin and Stacey, has achieved stardom in the US since hosting the The Late Late Show. The show's YouTube video series, Carpool karaoke, have been a YouTube sensation.